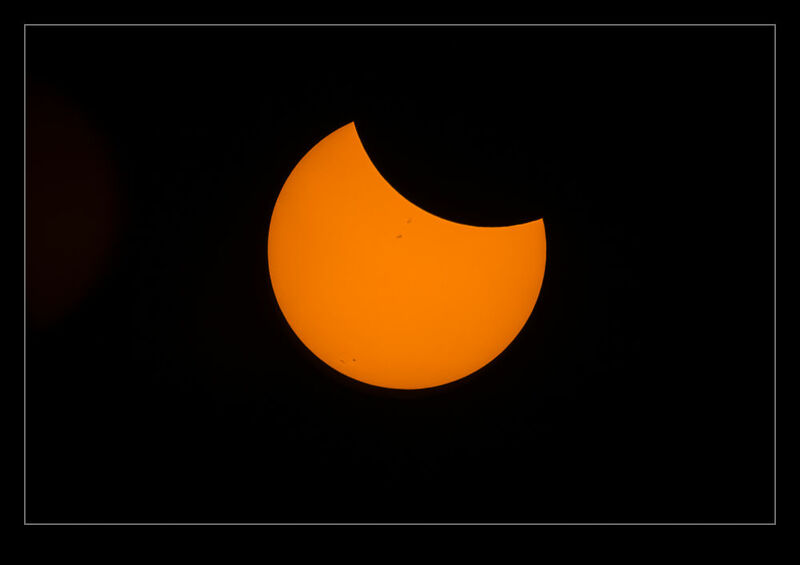 One camera was set up for the eclipse with the 500mm and the 1.4x teleconvertor. This was the one I was aiming to get the detail shots with. 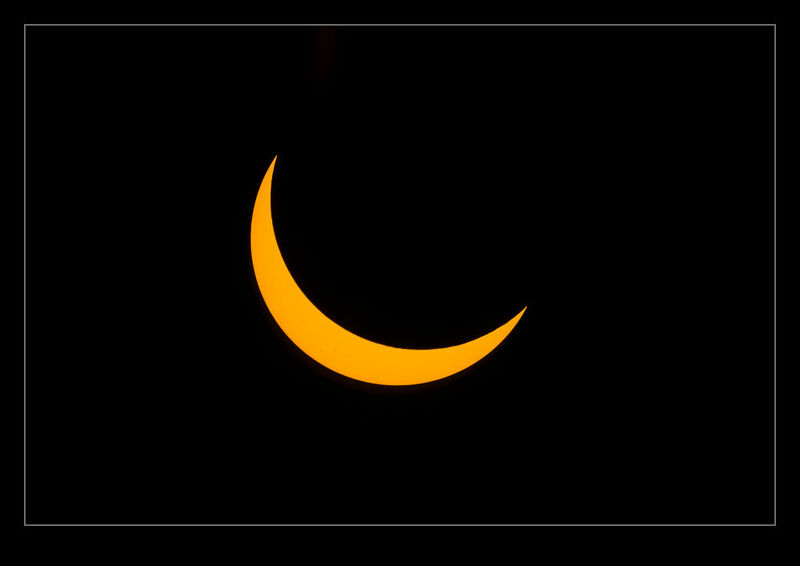 I had a solar filter mounted on the lens and had experimented a little with exposures in the days before the eclipse. A few trial shots showed that the exposures were not too bad and I bracketed everything anyway to be on the safe side. This set up was very sensitive to the progression of the sun across the sky so, I had to regularly reset the location. I wished I had a different head on the tripod but the ball head was okay, just a touch sensitive to adjust. A cable release meant I could stand and watch while triggering the camera without having to be distracted. From first contact to totality took over an hour. At times, it seemed to be moving quickly and at others you felt like it hadn’t moved at all or you even imagined it had retreated. Of course it hadn’t, but you could imagine all sorts of things while waiting. As the level of obscuration increased, it was interesting to see how little some things changed. Indeed, even when the sun was almost totally gone, the ambient light levels were actually very high. There was something about the quality of the light that was different though. We didn’t have a lot of wildlife nearby so some of the things that we had heard about in advance didn’t affect us. (The mosquitoes certainly were happy judging by the number of bites on my legs!) As totality approached, we did see a bunch of vultures flying high above us and I wondered what they were about to do when they found themselves in the dark at altitude. The drop in light levels was rapid and staring around as it happened was very weird. When totality hit, the last hint of the sun disappeared through our glasses and we took them off. The view that greeted us is something I shall never forget. 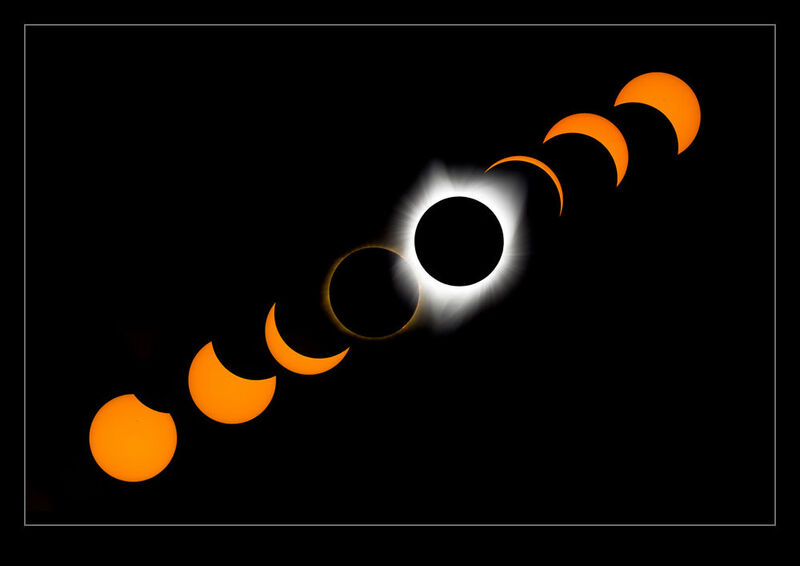 The images are a great reminder but I had seen shots of previous eclipses plenty of times. Seeing it in person was a rare time when the word awesome truly deserved to be used. I looked up at the corona and was overwhelmed. It was stunning. I felt like it couldn’t be real – like someone had created a CGI effect in front of me. I can’t imagine what the effect on people was in centuries past. Since you can’t look at the sun directly and the light doesn’t change too much until the last minute, this would come as a hell of a shock to someone unprepared. The corona that is left would make you think something apocalyptic was happening. Knowing it was coming, I was unprepared. They must have freaked out! The light on the horizon meant you could still make things out. It wasn’t totally dark which is what I had anticipated. I also think some of the high-level cloud was making the corona look a little diffuse. For a couple of minutes we just stared. I remembered to take the filter off the long lens but forgot about it on the time lapse camera initially. I also didn’t change the exposure on that camera even then although more on that another time. After just over two minutes, the sun peeked back out and everyone cheered for some reason we probably couldn’t explain afterwards. The light levels rapidly came back up and suddenly it was over. Sure, there was another hour or so as the transit completed but somehow it was done. We weren’t in a hurry but people around us started to pack up and leave and, in due course so did we. As we got to the car, we took one more look through the glasses at the still partially obscured sun and then we started the trek home. 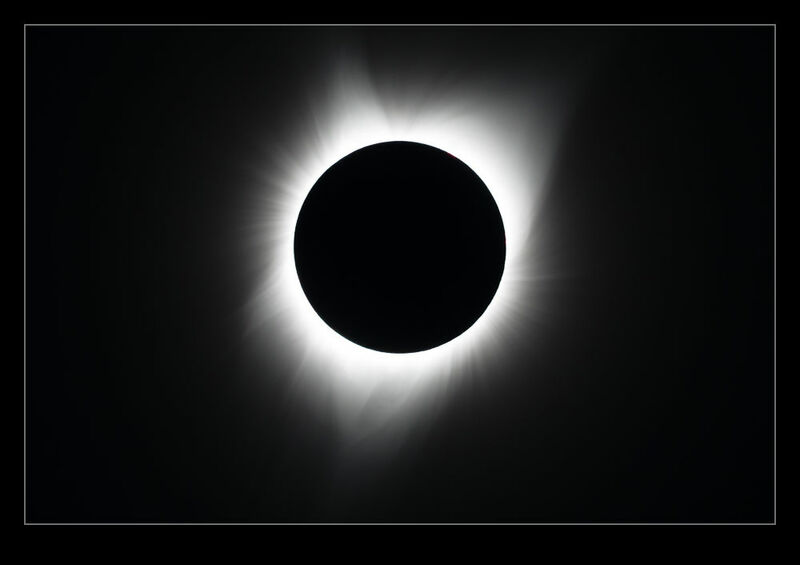 This entry was posted in Pacific Northwest, photo, Travel and tagged oregon, photo, Solar eclipse, travel, warm springs. Bookmark the permalink.